Sunset Beach Lifeguard Services have again been crowned the BP New Zealand IRB Champions despite a premature end to the weekend, due to tough surf conditions at Waihi Beach. The defending champions, who also won in 2017 and 2016, held the lead overnight and kept their first place position as racing was cut short and no points were allocated during Sunday’s events. However, the team from Port Waikato are known as one of the top IRB clubs in the country and would have continued to push hard throughout the day. Finishing in second was St Clair Surf Life Saving Club from Dunedin, followed by Taranaki club, East End, in third. However, Sunset Beach also managed to take home three trophies from the weekend including the Top Open Women’s team, Top Open Men’s Team, and the Top New Zealand Club. St Clair Surf Life Saving Club also managed to grab two trophies by claiming the Top Under-20 Women’s Team award along with the Top South Island Team. East End Surf Life Saving Club claimed the Top Under-22 Men’s Team, while St Kilda won the award for Top Under-19 Men’s Team, showing the top teams are from all corners of New Zealand. 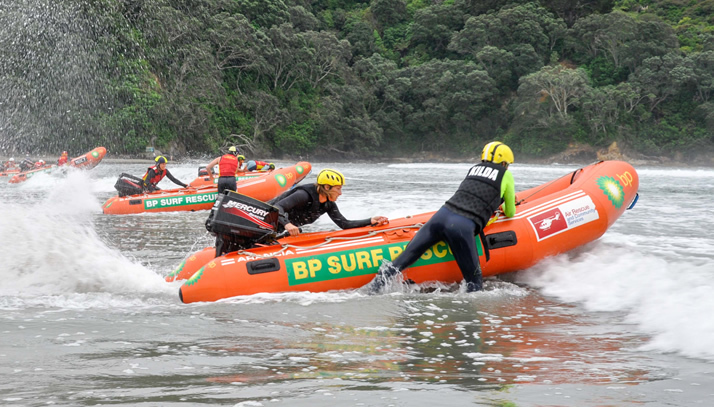 BP New Zealand IRB Championships event manager Johnny Clough said while it’s disappointing to end the event early, safety comes first, and it was otherwise a great weekend of racing. “Obviously it’s disappointing to end the event early by cancelling a few races but safety is our number one priority. The swell was simply getting too big so we had to make the tough decision to finish the day early. Mr Clough also wanted to extend his thanks to everyone who helped make the event happen including the local Waihi Beach Surf Lifesaving Club members and sponsors BP New Zealand. The BP New Zealand IRB Championships marks the end of the 2017-2018 Surf Life Saving New Zealand sport season, which kicks off again in spring.